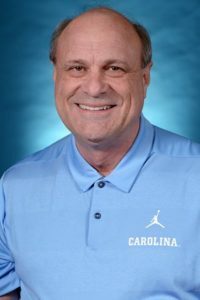 HICKORY – Sparky Woods, a former head football coach at Appalachian State and South Carolina, will be the keynote speaker at this year’s Catawba County Sports Hall of Fame (CCSHOF) inductions. Woods, an assistant on Mack Brown’s coaching staff at North Carolina, has worked on the same coaching staff as Class 0f 2019 inductee Brad Lawing during his career. “Coach Woods had coached at 13 different schools and the NFL,” Ju Ju Phillips, chairman of the CCSHOF selection committee, said in a press release on Wednesday. “He is a football lifer who has a positive attitude and countless stories. There are very few men like him still coaching after 40 years. The Class of 2019 includes Lawing, Keith Henry, Andy Petree, Dennis Punch and John Mackorell. The ceremony is scheduled May 13 at 6 p.m. at the Highland Rec Center, where the HOF plaques are on display. Tickets are currently on sale for the ceremony ($25) and are available at all high schools in Catawba County and at the Highland Rec Center.